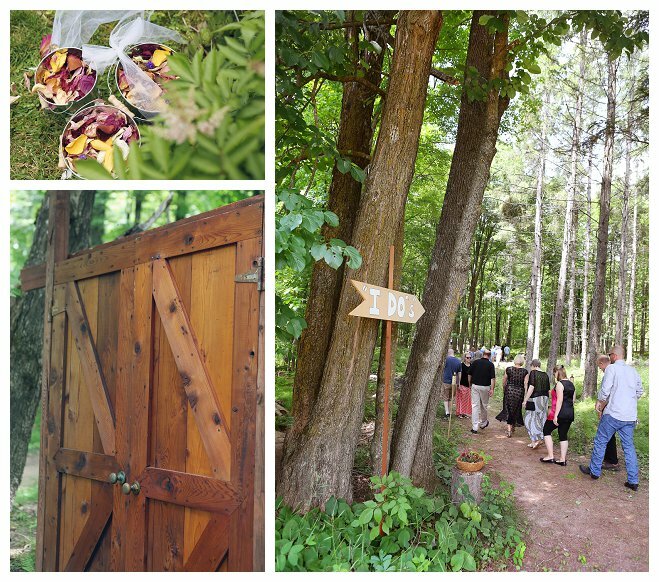 Lissa and Ben's wedding was a rustically romantic event held under a canopy of trees in the bride's parents' backyard. 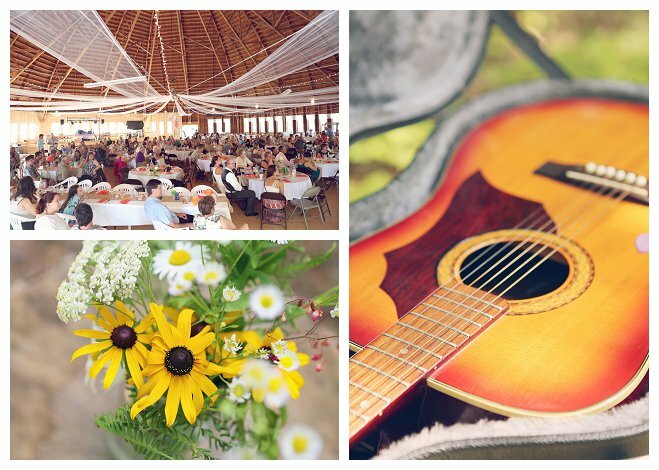 High-school sweethearts, the couple long knew this would be where they shared their "I Dos," and the setting was simple yet completely breathtaking. 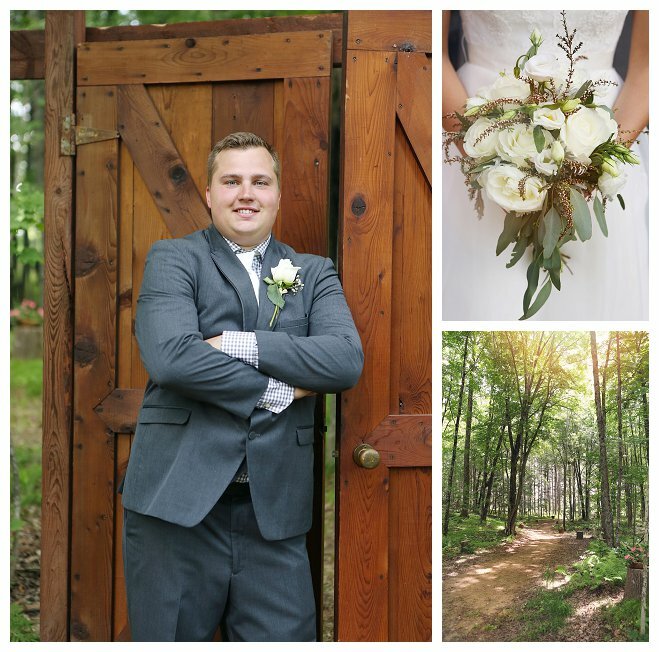 The bride looked lovely in a gown featuring a lace trimmed bodice, and the groom a handsome companion in his gray three piece suit. 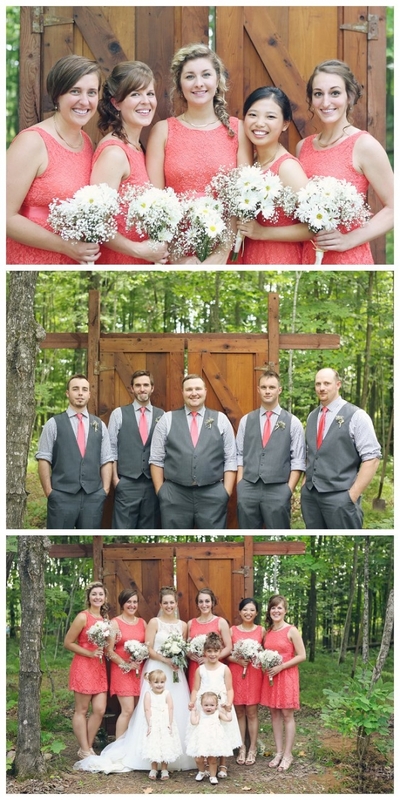 The bridesmaids dresses popped in a happy coral color, which paired perfectly with the groomsmen's matching ties. 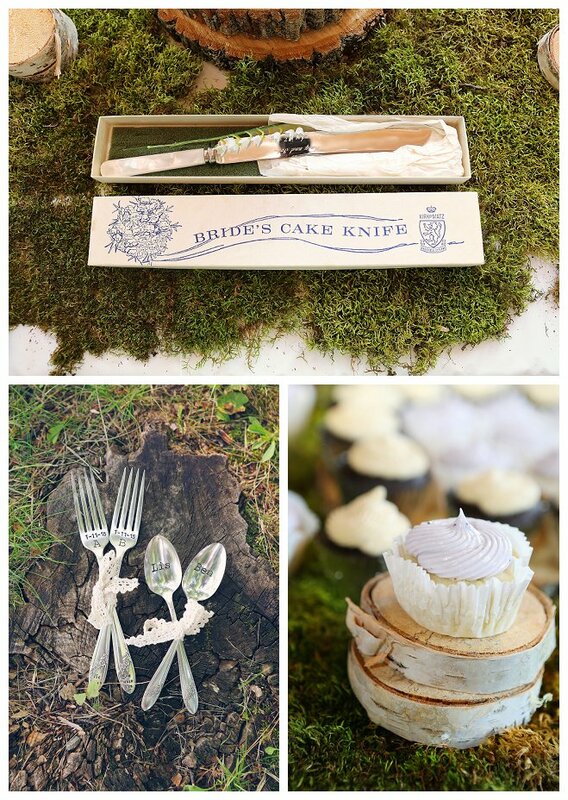 DIY details dotted the day, including many wooden pieces made by the bride's father, cake by the bride's mother, and cupcakes by the groom's sister. 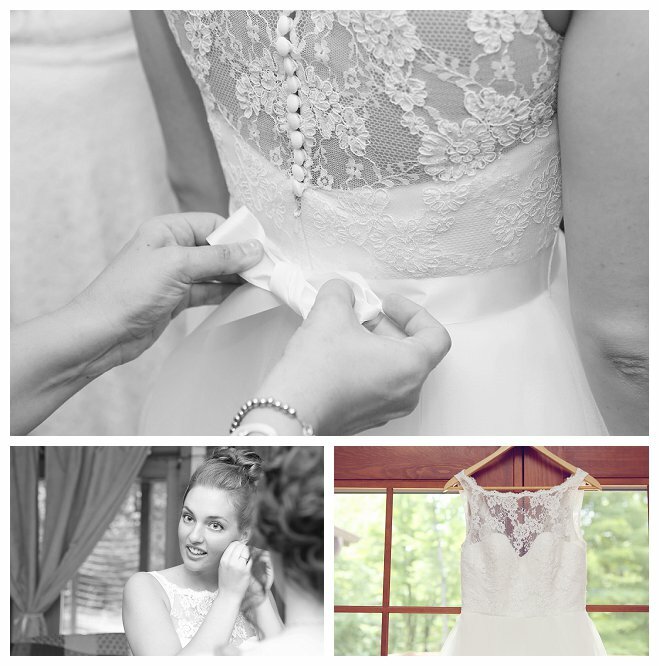 It was a day filled with personal meaning to the bride and groom, allowing their love to shine for all to see. 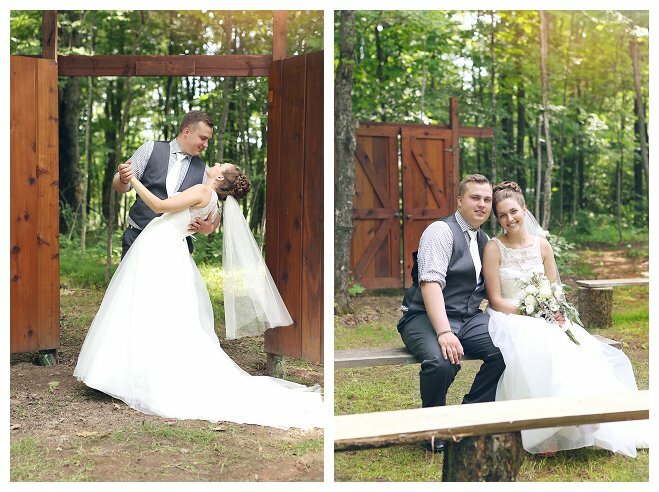 The event was capured beautifully by Hailey Lundborg Photography, making lasting memories the newlyweds will treasure forever. My husband and I grew up in the same town and started dating in high school. We knew we would be together forever and started making plans early on. 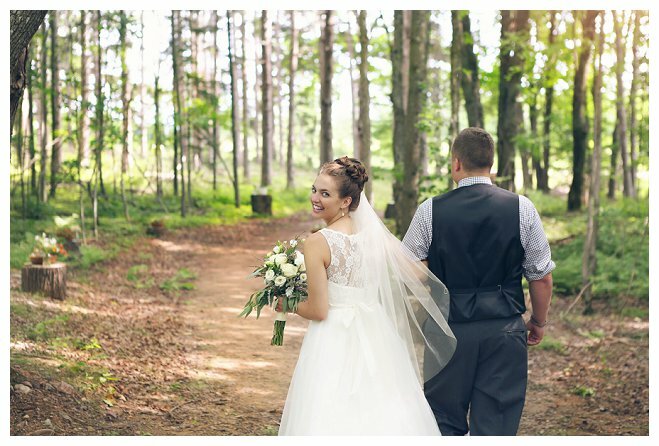 We knew we wanted our wedding in the woods, standing in the grass with trees surrounding us. We even had the spot picked out! So when Ben asked my dad if he could marry me, they decided the future wedding spot would be the perfect place for a proposal. My dad worked hard to get the area semi-cleared out. Ben took me down in the spot with a memorized script and promptly forgot the entire thing due to nerves! But he still managed to tell me he loved me, wanted to marry me and have a family with me, and got down on one knee, ring in hand, and asked me to marry him. I remember saying yes (obviously) with shaky hands and tears of happiness running down my face. What an elated feeling! 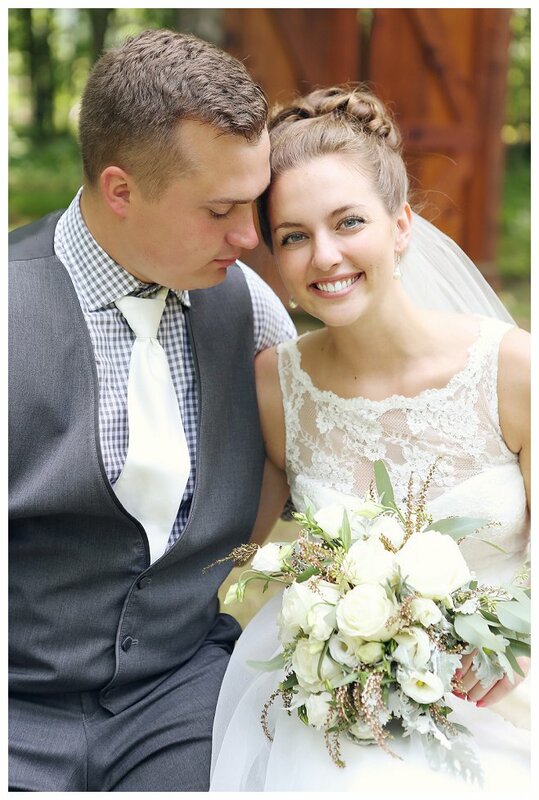 Now we're married and couldn't be happier. 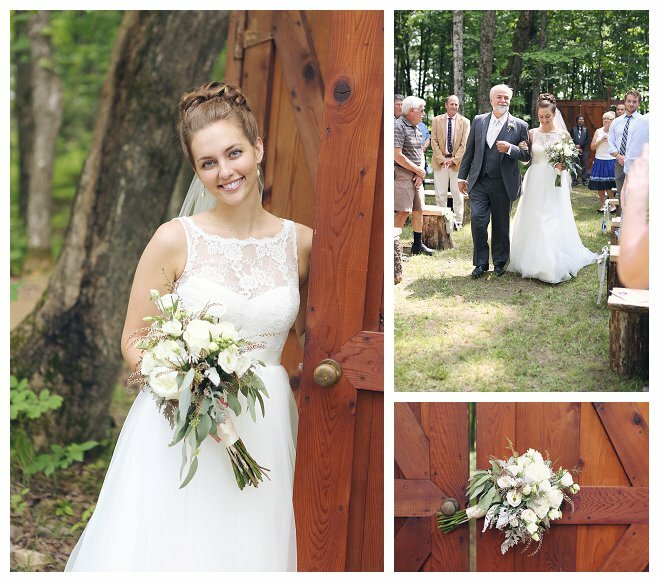 Thank you to everyone who helped out and was a part of our wonderful day!